Scheme of arrangement from Nesta Investment Holdings to acquire all ordinary shares in GLP for S$3.38 apiece. Offer price represents a 102% premium to one-year VWAP and 30% premium to Net Asset Value (NAV) as at 31 March 2017. Offer price represents an 18% premium to our target price of S$2.87 and 6% premium to our RNAV estimates. Nesta Investment Holdings offer price at S$3.38 apiece. Nesta Investment Holdings, owned by a consortium of five companies, namely HOPU, Hillhouse Capital, SMG, Bank of China Group Investment and Vanke, has proposed a scheme of arrangement to acquire all ordinary shares of GLP for S$3.38 apiece. 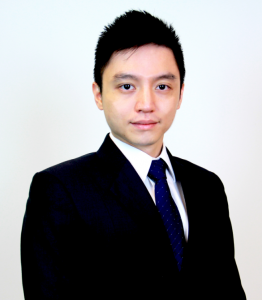 SMG is co-founded by CEO and Executive Director of GLP, Mr Ming Z. Mei. Offer price is a significant premium to average P/NAV of listed SG developers. We note that the offer price, at 1.3x NAV, is at a significant premium to the average P/NAV (1.1x) of Singapore listed developers. Including a SG6 cents dividend announced in May 2017, the offer price/NAV would be 1. Single largest shareholder, GIC, to vote in favour for Nesta. GIC has given an irrevocable undertaking to Nesta to vote in favour of proposed scheme of arrangement. Amongst other conditions, Nesta requires a shareholder approval consisting of more than 75% of the total issued shares in GLP before the scheme of arrangement can proceed. GIC owns a 36.8% stake in GLP and is the single largest shareholder in GLP. If successful, Nesta gains full control to GLP’s portfolio of modern logistics assets in four key markets, China in focus. Being the second largest operator of modern logistics assets in the world, Nesta will gain full control of GLP’s portfolio of modern logistics assets which span across four key markets, namely China, Japan, US and Brazil. We opine that this is in particular to China where modern logistics assets are becoming increasingly attractive due to favourable supply and demand dynamics. This is because of a growing demand for modern logistics assets due to a shift in China’s economic structure into one that is consumption-driven and matched by an undersupply of modern logistics assets. Advise investors to accept the offer. Ceasing coverage upon successful privatisation. At an 18% premium to our last target price (excluding SG6 cents dividend) of S$2.87 and a 30% premium to latest NAV of S$2.60, we deem the buyout offer a fair price and advise investors to accept the offer.